More than a third of Americans are considered rent-burdened, meaning they spend at least 30 percent or more of their monthly income to pay for rent. A new report from Freddie Mac shows the most expensive cities aren’t always at the top of the list. Miami ranked as the most rent-burdened of the top 50 metro areas in Freddie Mac’s report. It was followed by San Diego, Los Angeles, New York and rounding out the top five, Orlando, Florida. Chicago ranked 16th on the list. The report combined data from four outside studies, including ones by Harvard University and the National Low Income Housing Coalition, to create a national picture of rent burden. A report last year from Harvard showed that 40 million Americans spend more than 30 percent of their income on housing. Freddie Mac, which finances affordable housing, said supply for affordable housing hasn’t kept pace with demand in many metro areas. “That’s pushing affordable rents out of reach for millions of American families,” said Steve Guggenmos, of Freddie Mac’s Multifamily Research and Modeling. 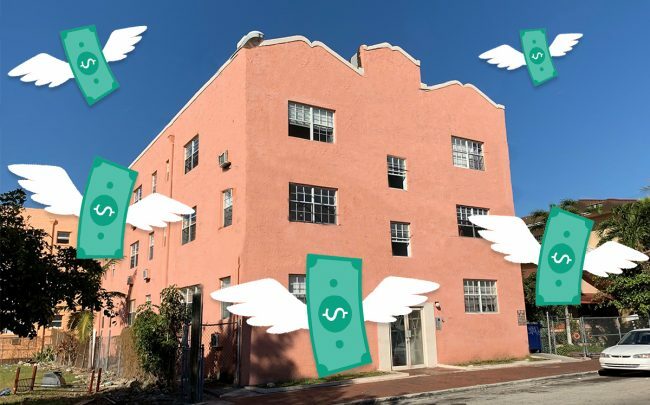 According to Freddie Mac, renters in Miami find themselves hurting not because of high rents — as in other cities like New York — but because they make less than renters in other metros. Miami has the ninth highest median rent in the country at $1,183 a month. That much less than San Jose, California, the most expensive rental market in the country, with a median rent of $1,840 a month. Meanwhile, the median annual income for a renter in Miami is just $35,000. The median renter there spends 41 percent of pre-tax income on rent, meaning that person would need to make $12,000 more to bring the figure below 30 percent. “What tends to be lost in the analysis is the impact of high rents on tenants who earn well below the median renter income,” Guggenmos said. Renters in L.A. and New York also find their paychecks are too small, where median incomes and median rents are comparable. A median renter in each city spends around 36 percent of their income on rent. In New York, millennials are among the most rent-burdened, according to recent data, citing census information. Adults between 22 and 30 pay about 45 percent of their income on rent.